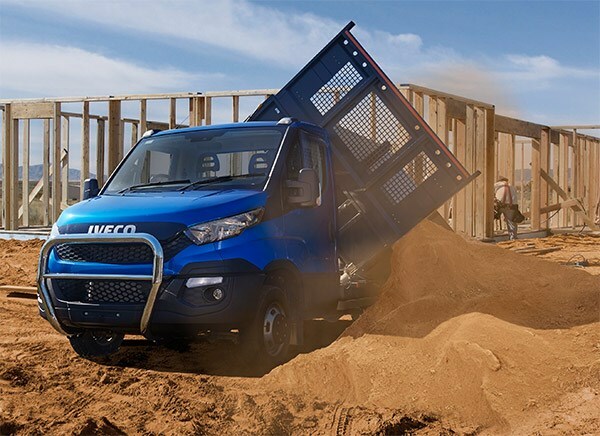 Iveco has added factory-fitted tipper and tray models to its 2015 Daily range, unveiling a new line-up of work-ready variants. 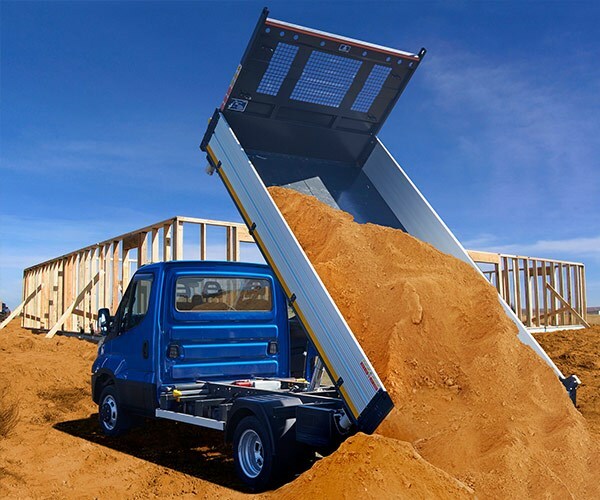 According to the manufacturer, the work-ready range features Iveco’s 50C17 Daily models fitted with "high quality European tipper and tray bodies" and available in a car licence-friendly 4,495kg GVM option or a 5,200kg GVM option. The tipper models offer a three-way tipping body, allowing users to empty the steel body tray towards to the rear, left and right, with an estimated payload of 1,500kg. Measuring 3,700mm x 2,100mm, with 400mm sideboards and tailgate, the tipper body has a full headboard against the back of the cab and is constructed with corrosion-treated 1.8mm steel plate. 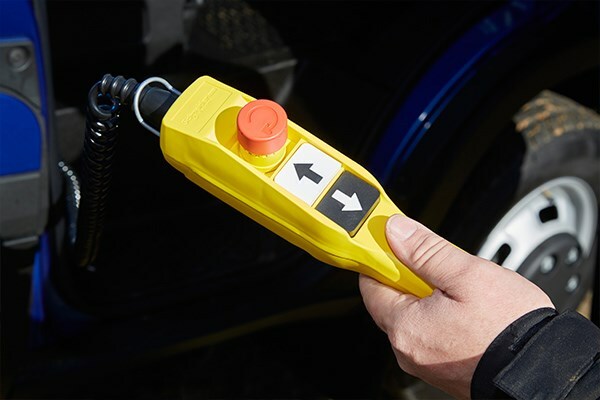 Taking 25 seconds to reach full height, the tipper body is operated via a hand-held remote and includes fully retractable built-in anchor points, a tilt limit stop cable and safety pole. The fixed-tray models offer a 4092mm x 2072mm anodised aluminium tray with 400mm sideboards and tailgate; full-height headboard; a built-in, lockable toolbox; and a base re-enforced with 15mm marine plywood liner. The 50C17 Daily models include a 3-litre turbodiesel engine, producing 125kW and 430Nm of torque, and generating a 3,500kg towing capacity. The variants are available with either a 6-speed manual or 8-speed ‘Hi-Matic’ automatic transmission; front and rear disc brakes with ABS; front, passenger and curtain airbags; stability control; and hill holder.